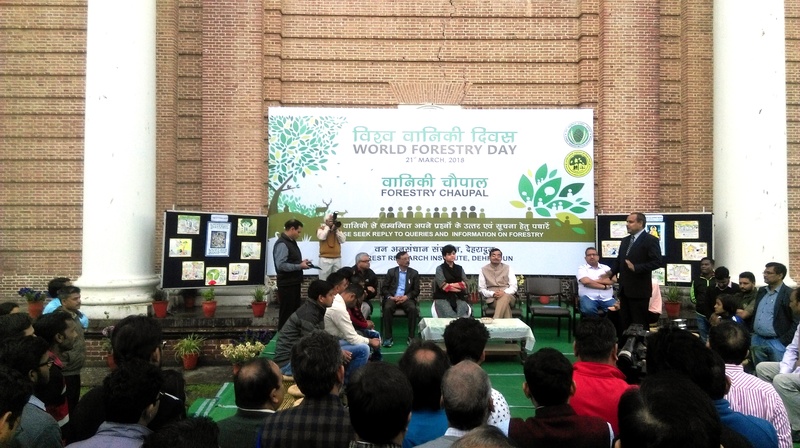 Forest Research Institue (FRI) celebrated World Forestry Day 2018. The theme for this year is forests and sustainable cities. Let us make our citites greener, healthier and happier place to live in. 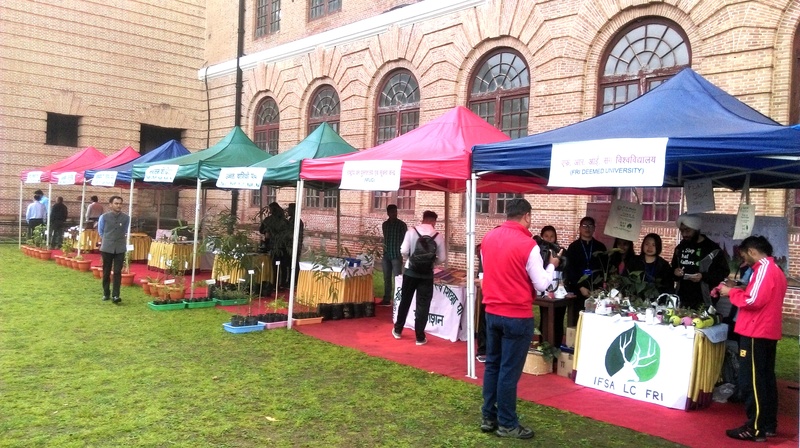 On this occasion, an exhibition for demonstration of technologies developed by FRI and a Forestry Chaupal was organized at FRI main building with the aim to bring scientists of institute and common people to share the information and knowledge on forestry and related subject. 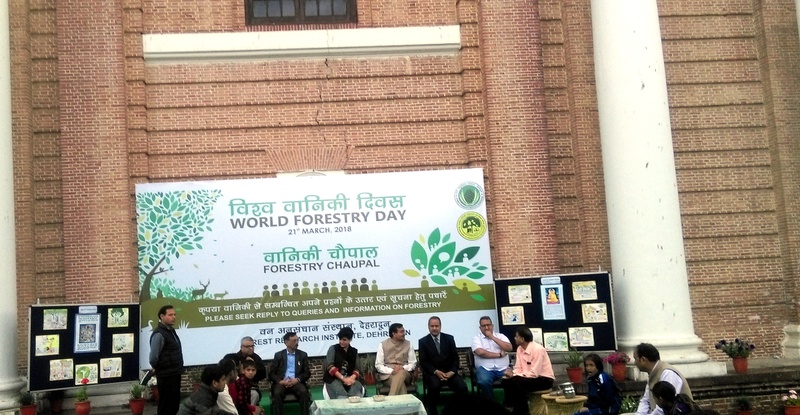 The event was inaugurated by Dr. Savita, Director in her address said that this forestry chaupal is an open platform where farmers. 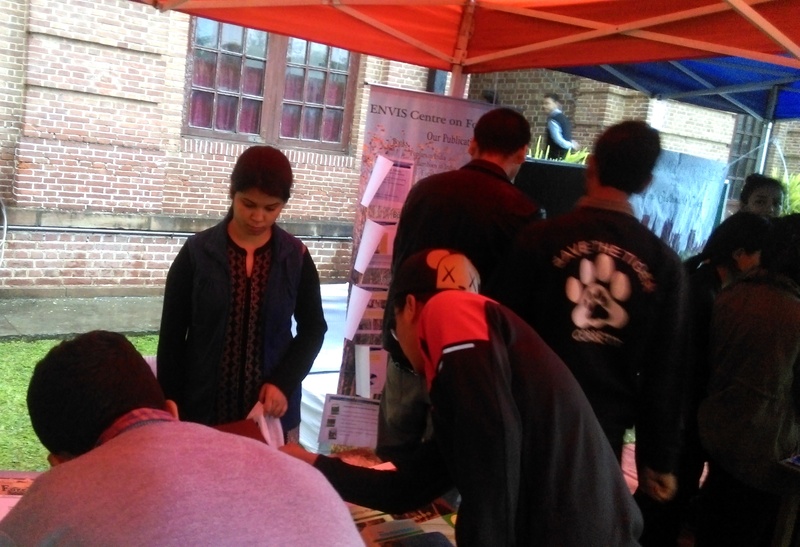 students and other visitors may interact with forestry professional and seek information about forestry. 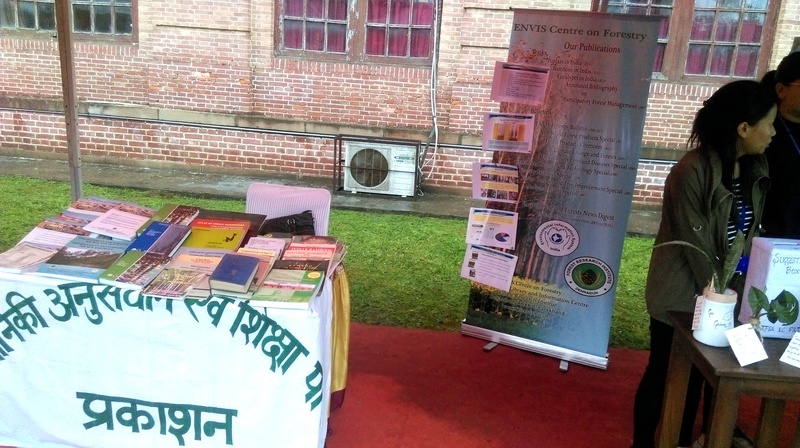 On the occasion publications of ENVIS Resource Partner FRI were also displaed by ENVIS team.